In the battle to extend the viable lifespan of aged water and sewer lines, trenchless technology is gaining ground. 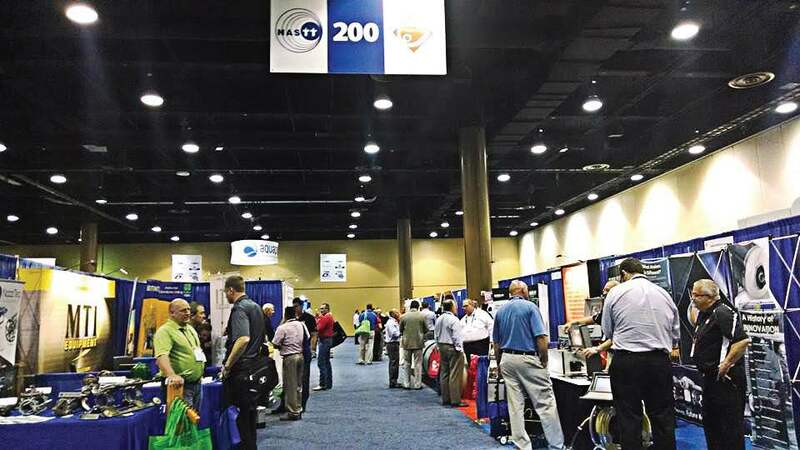 At the largest trenchless technology conference in the region, the North American Society for Trenchless Technology’s 2014 No-Dig Show, exhibitors debuted techniques that save hundreds of thousands of dollars and a significant number of man hours when applied to improving underground infrastructure. Educational sessions on those techniques, plus on procedures, decision-making and investment considerations, contributed to good attendance at the April 13–17 event in Kissimmee, Fla. Pipe fitting, storm water system repair, cure-in-place pipe renewal, demonstrations, services and applications made the time well spent for underground utilities and public works professionals. If you weren’t able to make the trip south this year, next year’s No-Dig Show will be May 15–19 in Denver, Colo. The Municipal will see you there.